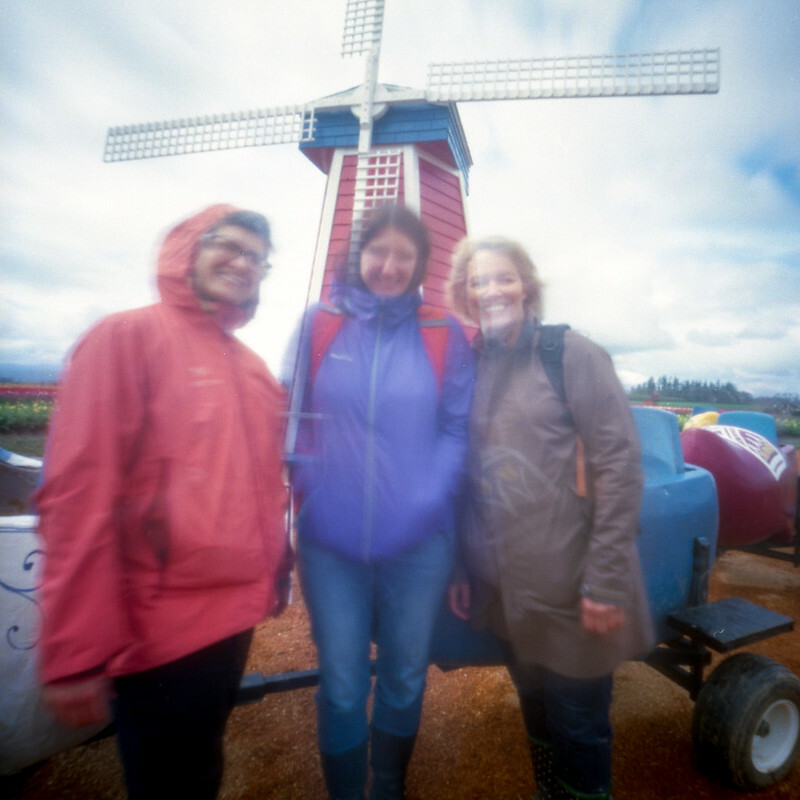 Once a month for the past year I have been going on a pinhole adventure with two fabulous ladies who are also passionately interested in pinhole photography: Gretchen and Donna (and do go check out their extraordinary Flickr streams!). 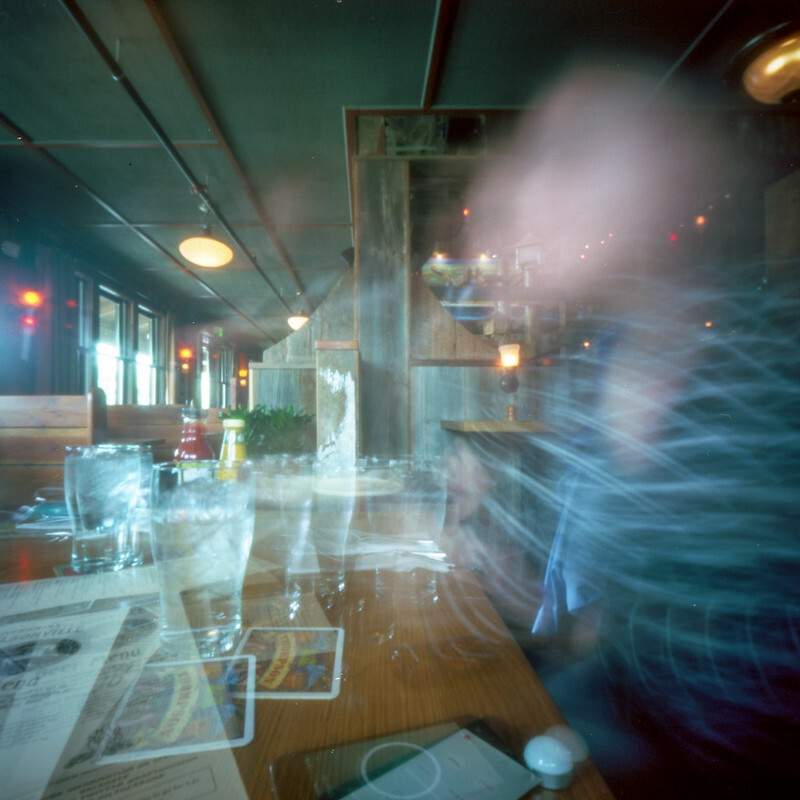 I realized that I don’t blog about my pinhole adventures with them! I am going to change that. Starting today. We call ourselves Pinhole Mayhem. For reasons I can’t remember. I think it’s our band name. or something? Anyway, here are photos from our March outing. We went to the Tulip Festival in Woodburn. We started out at the Fred Meyer in Wilsonville where I grabbed a coffee. 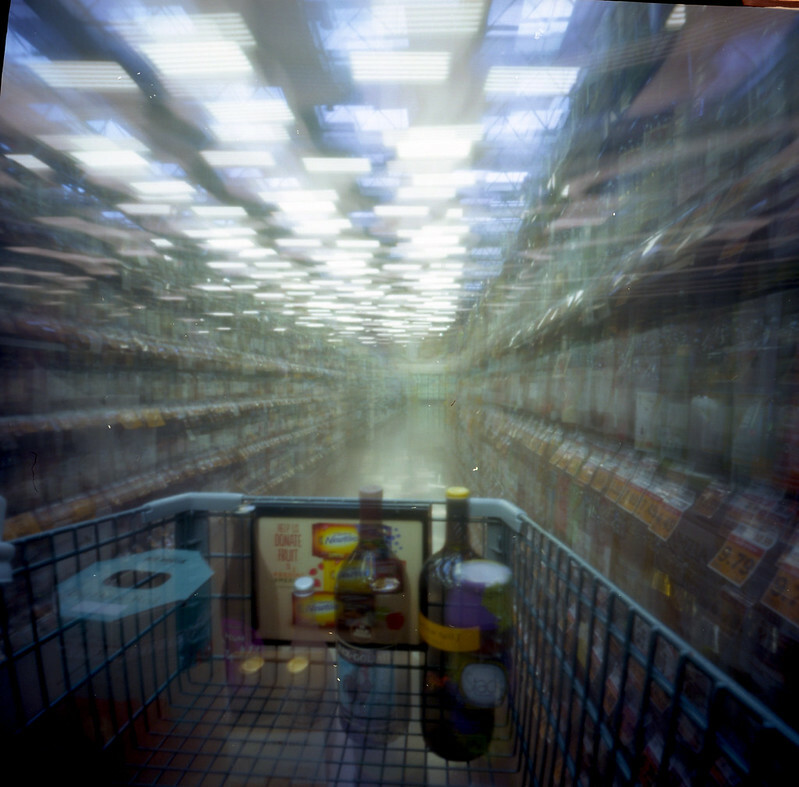 Gretchen had the idea to open up the shutter of her pinhole camera and “go shopping.” I thought it sounded fun, so I did it too. Here I am shopping in the booze aisle. the Fred Meyers employees didn’t look at me weirdly AT ALL. 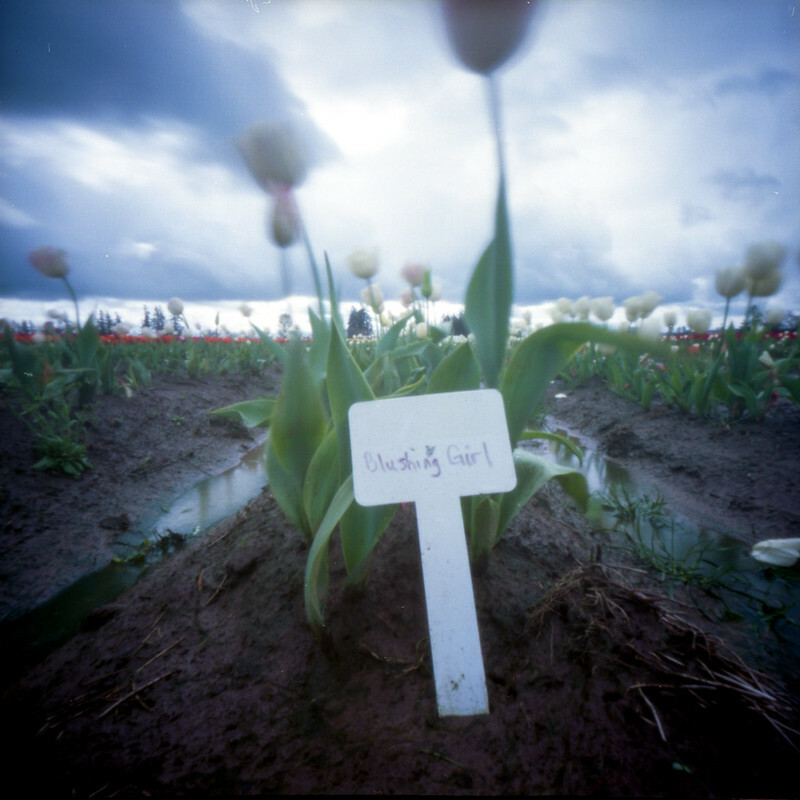 afterwards we went to Wooden Shoe Tulip farm – in between torrential downpours, luckily. We spent a couple hours tiptoeing through the tulips. 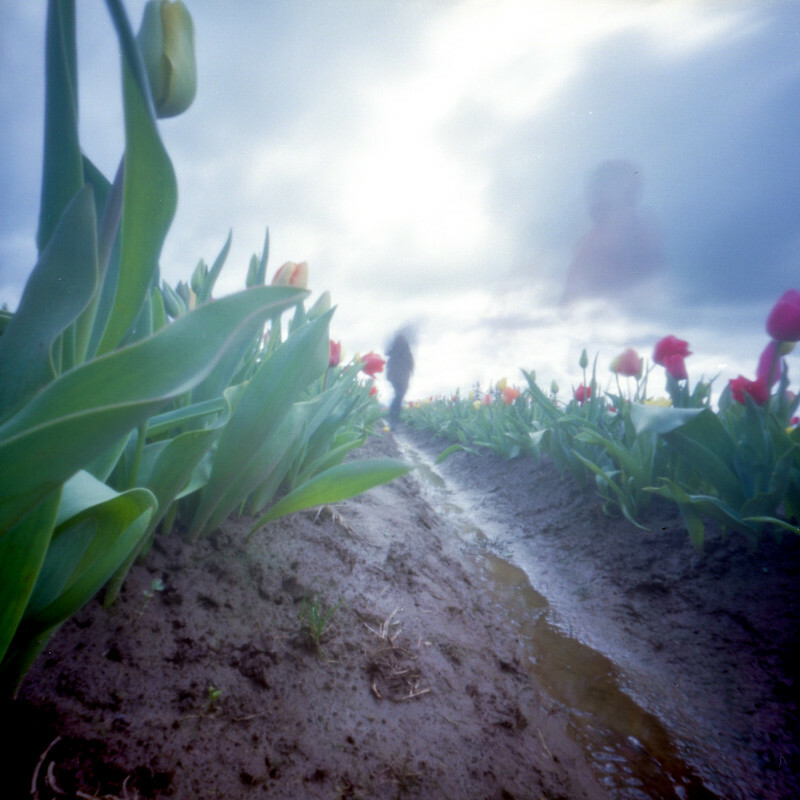 Ghosts in the Tulip Field. for some reason we didn’t bring the masks with us this time. And we often cap the outing with lunch. This is my new favorite shirt to wear when I do pinhole self portraits. For all of these photos I used my Zero 2000 and Ektar film. You see more from our adventures on my Flickr. 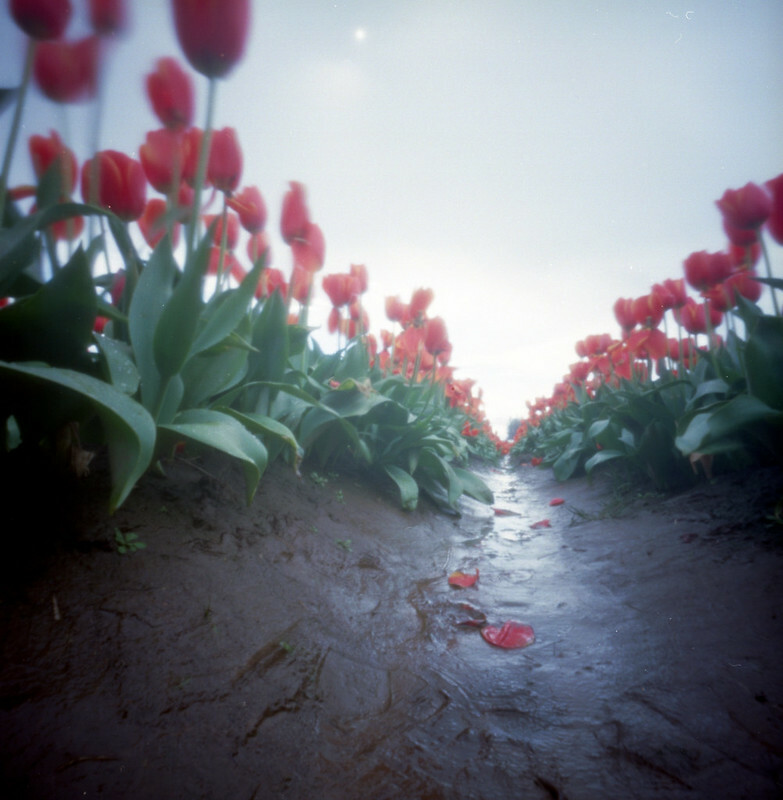 Pinhole photography has such a wonderful atmosphere. It is as magical as I imagine the earliest photos would have appeared with the added benefit of colour.